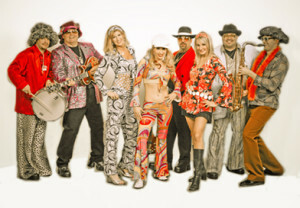 This eight-piece band’s players have performed throughout America and the world, with every member bringing years of impressive performance credentials and talent to the party. With a mandate to provide “World Class Entertainment” and “Non-Stop Boogie,” this group delivers both in abundance with every performance. Not many bands can lay claim to the combined amount of talent, experience, and musicianship found in the ranks of the premiere Seventies/retro band experience which is Body & Soul. 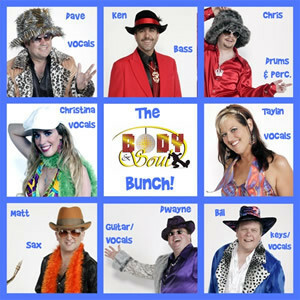 Giving detailed attention to faithfully recreating the music and excitement of the 70’s dance era, Body & Soul provides its audience with an outstanding show full of music and entertainment that will help make any gathering a special event to remember. So, the band is great, the musicians are top-notch, and the show is filled with the songs, clothes, and nostalgia of the 70’s. Body & Soul is about providing your event with entertainment that is great fun for everyone – from the younger people who know the 70’s as a retro look back, to the folks who line-danced and bumped to the music the first time around! The group also performs dinner music/formal wear sets prior to launching the 70’s show if needed, and wedding specialty music upon request.